Our back-end porta billing web login can be setup in other languages as well. Arabic, Simplified and Traditional Chinese, Czech, English, Estonian, French, German, Hungarian, Italian, Latvian, Lithuanian, Norwegian, Polish, Portuguese, Russian, Spanish and Swedish. We can also support other languages on our Cisco Calling Card Voice Attendant. Please click here for our Rates and Requirements. Create custom unlimited plans, hosted Porta Web Control Panel with integrated Online Signup Wizard and offer hosted pbx services with phone numbers -requires basic knowledge of Porta Customer Management. We can integrate with approved online payment processor. Additional Cost for custom Front-End Website Development. Online Sign-Up Form is included. Call Shops, Call Centers, Caling Cards, International Callback, PC2Phone, Subscription Plans, Hosted PBX and more. Devices can be auto provisioned using hardware addresses. Includes API for automatic international DID provisioning. You can buy and setup your Wholesale Phone Numbers in real time. Select from our basic or premium routes. We have brought together all the needed VoIP modules so that you can get started with your business right out of the box! answers, screens and routes calls to virtually any location, provides company staff with unified virtual extension numbers, and processes large volumes of calls simultaneously. You can check your email/voice mail/fax all in one place. Incoming faxes are automatically converted into a pdf and sent as an email. Business Class Centrex - enhanced business-class phone auto-attendant typical of very large office phone systems. Interactive Voice Recognition (IVR) technology without any need for hardware at your site. Standard features include call forwarding, caller ID, call waiting, call transfer, and other business class features. Reseller-in-a-box is everything you need to be up and running as a VoIP Reseller! Monthly charges apply for hosting/shopping cart/ marketing services depending on the options selected. Please note custom plans require more detailed info from you the reseller and prices vary based on your requirements. Basic training will be provided with all plans but resellers are required to download and read the online manuals at our support site to perform daily management tasks of their customers. Specialized training can be provided at additional cost. 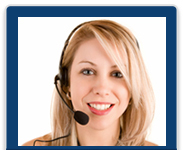 We do not directly support your customers due to the nature of the private label voip service. We provide basic support via our online ticketing system and chat. Online order processing system for various methods of payment. Please note you may need to purchase our tech support plans after the first 30 days of service if you do not have your own technical personnel. You'll get low wholesale rates on all services, and can re-sell them for whatever rate you like. Services include DID numbers, line extensions, extra minutes for those who use the service to originate calls, and more. Standard Reseller Control Panel with standard online signup form.